A beautifully presented 1 bedroom flat, offered at this very reasonable price, which also includes the gas. A delightful studio flat, situated in Hyde Park. 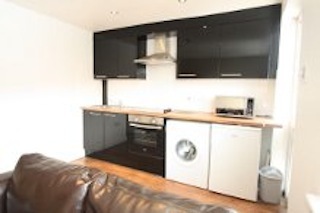 This contemporary studio apartment is fully furnished with high quality fittings, including a leather sofa, wooden bed frame and an amazing black gloss fully equipped kitchen. The decor is neutral throughout and there is lovely wood flooring. Only 10 minutes walking to uni or the city centre! Modernised to a good standard and the price also includes the water and electric rates (upto a maximum of £360 per annum). Situated in Armley, this one bedroom apartment, is ideal for a professional or a couple. 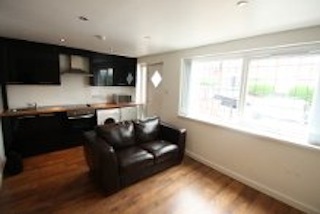 With excellent transport links to Leeds city centre and beyond. The apartment is set in a converted school, and is finished to a high standard, with a modern contemporary interior and furnishings. Fantastic value for money! 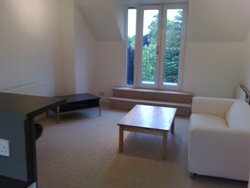 A fantastic 1 double bedroom flat, located in central Hyde Park. This high quality one bedroom apartment comprises of; a stunning open plan kitchen and lounge area, with beautiful wood flooring, leather sofas and an amazing black gloss kitchen. The double bedroom is complete with good quality furniture and neutral decor. 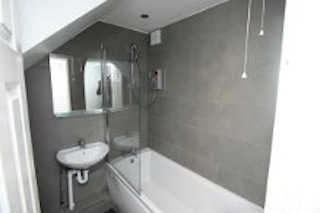 The bathroom with overhead shower is contemporary with modern white suite and grey slate tiling. 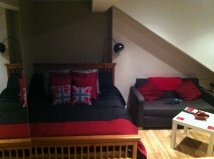 Walking distance to the university and the city centre an ideal property for a student or a professional. The monthly rent also covers the water rates! Offering excellent one bedroom accomodation, in a very desirable location. Situated on the first floor is this delightful 1 bedroom flat. 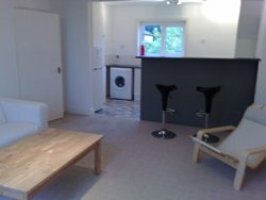 Located in Hyde Park, just minutes away from the business school, the property is ideal student or professional accommodation. 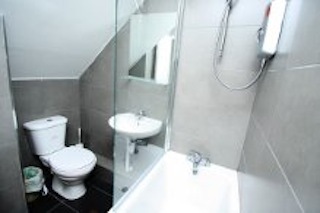 Modernised to a high standard and the water rates are also included in the price!! A stunning top floor apartment located in central Headingley. 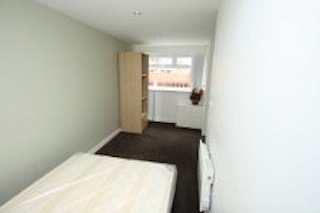 Within walking distance to all local amenities, and the universities. Recently completed the property has been designed to a high specification. Offering, one double bedroom with fitted wardrobes, a large shower room, and an open plan lounge diner and kitchen area, which leads on to a balcony.The property is fully furnished, with GCH and UPVC double glazing.